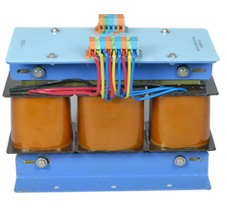 We are an efficient manufacturer of Three Phase Control Transformer. It is an appropriate transformer that ensures that the right voltage is supplied in every situation. It is used for changing values of three phase voltage and current. 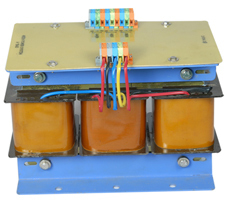 Three Phase Transformer is manufactured with three sets of primary and secondary windings. 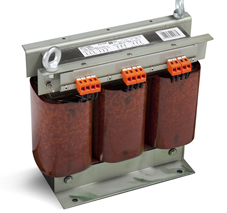 These Control Transformers comes in various models and can be differentiated by KVA, Taps, horsepower range, mounting (such as wall or floor mount), dimensions and weight. 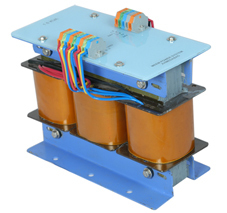 Three Phase Control Transformers and Line Reactor Chokes meet exact requirements regarding primary and secondary voltages, power ratings, line frequency, agency approvals, etc. It is mainly used in electrical plants to save energy.